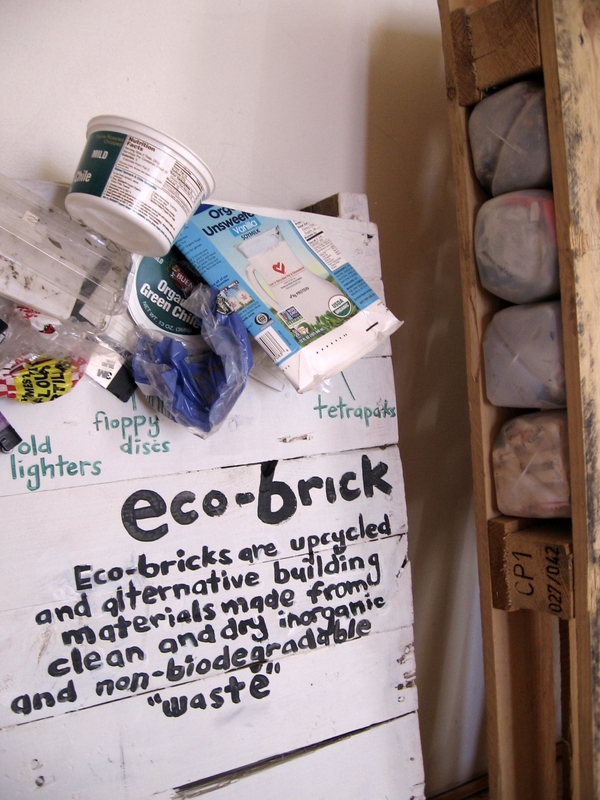 “Eco-Bricks” from Upcycle Santa Fe (Alternative Waste Management) from James Stodgel on Vimeo. 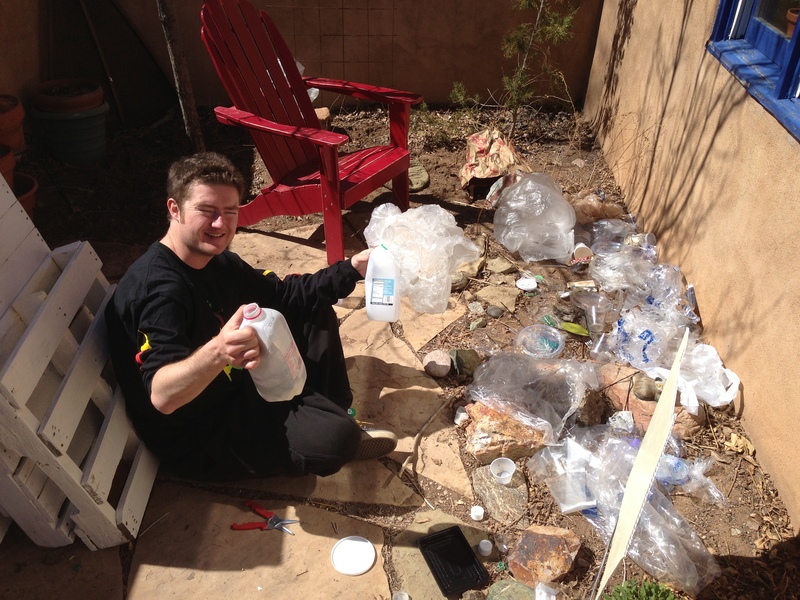 Through our events held in Santa Fe at the Center for Contemporary Arts, the Zia Diner and Warehouse 21, we collected and harnessed the fullness of “waste” generated. 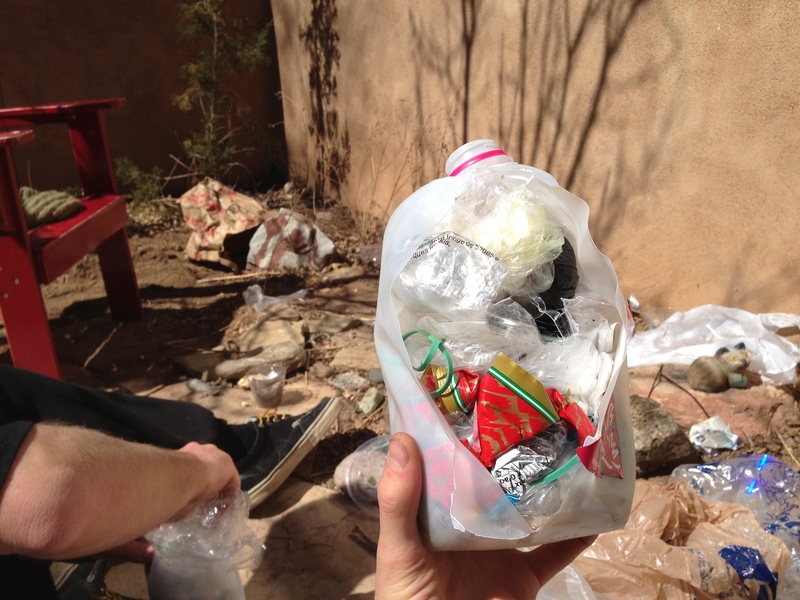 This included some organic materials which we composted, a bit of unlaminated paper which we used to start a fire, and a substantial amount of plastics. 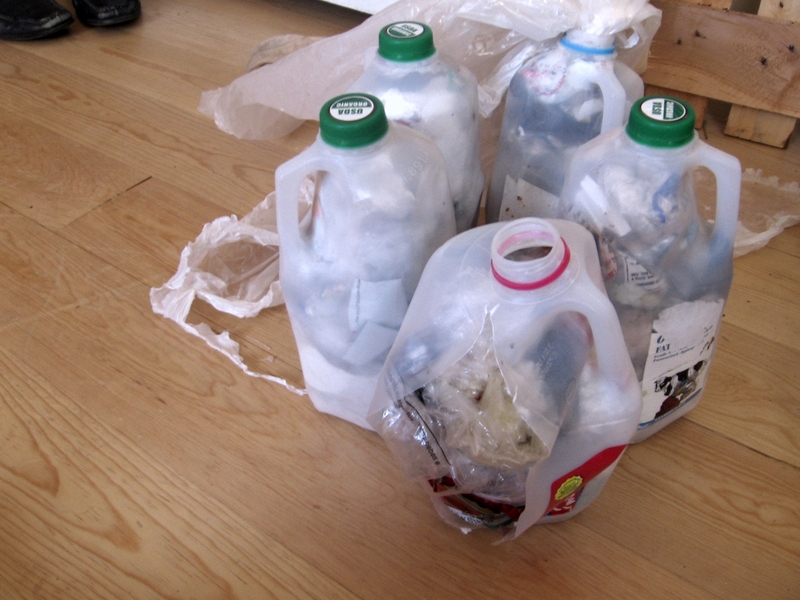 The latter, non-biodegradable materials were stuffed into five 1.89 L HDPE plastic bottles: eco-bricks to be used in our alternative building projects. In this application, we show how this particular size of eco-brick can fit quite perfectly into a common variety of shipping pallet, creating a low cost prefabricated insulated building panel. ·Only Green Design· on City Hall Live!